minions of the evil Dr. Maybe. I don	get what the hell Sparxsters talking about...This series owns! Maybe the 3:d is the best game but the others are REALLY great games to! get them now! I haven't played the first one but the other three games (I'm counting Aquatic Games) in the series were a lot of fun! 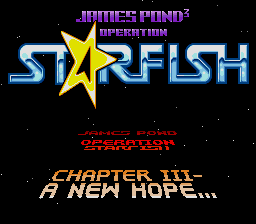 james pond 2 is a certainly a nice playable game. the ability to raise to the ceiling and grab it sticks out. the music gets a bit annoying, but otherwise a sound game. 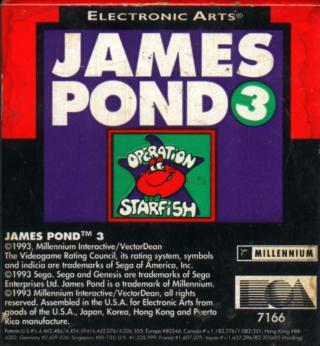 The first one(james Pond 1!) is however in my opinion not as good.it goes for the simple logic puzzles so often found in amiga games(although i loved my amiga) these get on you nerves when they become mazelike and boring. 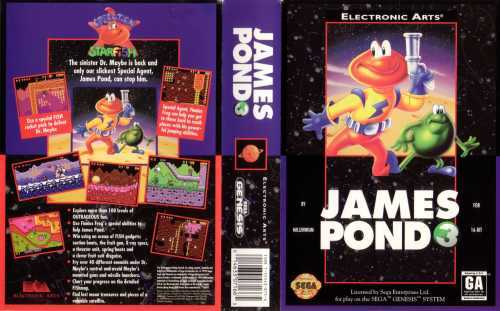 I own a copy of James Pond 3 and have to say its as great as I expected. The simple graphics are all just platforms and I knew this is why the gameplay would be excellent. 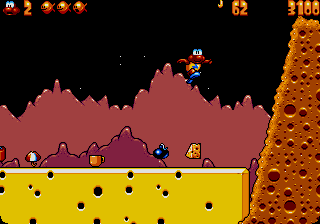 Among hundreds of platformers James Pond 3 must be the most playable.